Iconic Russian writer Anton Chekhov is recognized as the most translated and produced playwright in the world after William Shakespeare—that is, he is the most produced and most highly regarded modern playwright in English translation. Chekhov’s style models our behaviors and aspirations in alluring and intricate ways, unmatched in playwriting. His plays determined Realism in language and acting practice from the late 19th century to the present. 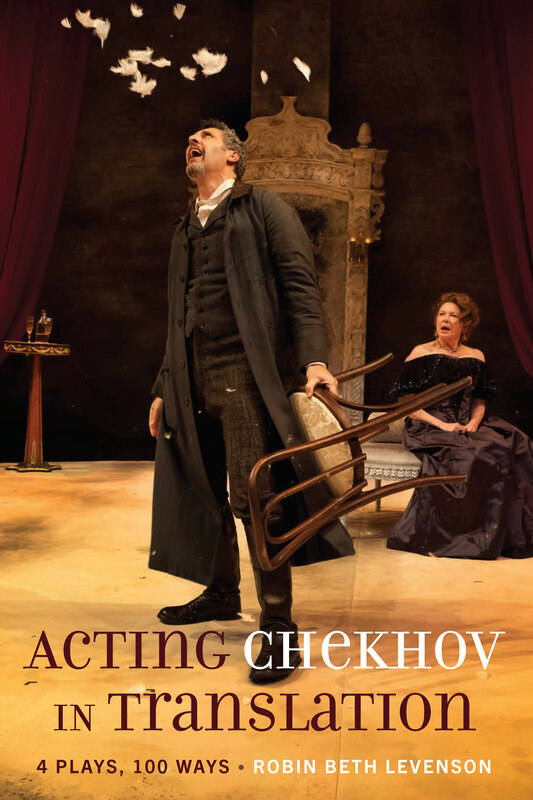 Acting Chekhov in Translation: 4 Plays, 100 Ways explores the history of translation, contemporary and controversial approaches to stage translation, the notion of "action" from Aristotle to Adler (and beyond), and Chekhov’s inimitable dramaturgy. English translations, adaptations and versions of The Seagull, Uncle Vanya, The Three Sisters and The Cherry Orchard are each considered from the actors’ points of view, from the page to the stage. The nature of stage translation has recently undergone novel and provocative changes: how can someone who does not know the source language adapt or translate a play? It is done frequently, and the outcomes are investigated herein. For the translator as well as practitioners, understanding theatre craft is essential to producing playable and engaging productions. Differences in the language, punctuation, syntax, sound, rhythm, stage directions and what appears on the written page in various translations affect the work of the actor on the playscript. The purpose of this inquiry is not to definitively evaluate or interpret Chekhov’s plays but to discover approaches to working on plays in translation and to determine practical tools we may use in the analysis of dramatic form, as well as human behavior. This book includes selections from 145 translations and translators of all four plays and a glossary of acting terms that helps describe concepts for practical script analysis. List of Illustrations – Acknowledgements – Introduction – Translation – Modern Approaches to Translation – The Translator as Artist – Action – Chekhov’s Dramaturgy – The Seagull – Uncle Vanya – The Three Sisters – The Cherry Orchard – A Body of Beauty – Bibliography – Appendix A: Glossary – Appendix B: The Cited Plays and Their Translators, 145 Renditions – Index.